Maybe you dislike cold calling as well? If so here’s my all out guide to B2B lead generation without cold calling. Cold calling is picking a name from a list (telephone book, bought list, LinkedIn profile, etc) and calling that person when they have no knowledge of you or your business with the intent of converting them into a prospect, and finally a customer. Personally, I’d say, even if you’ve done some research on the person and their company, a call like this is a cold call. Conversely, a warm call is calling a person who knows of you and/or your business. That knowledge might come from a mutual introduction, meeting you at an event, visiting your website, etc. Not only are warm calls easier on the rejection psyche, but they also covert at much higher level. This is mostly because you start the relationship with some level of trust from the person you are calling. Trust is worth a lot in the sales cycle. Most importantly, trust provides that vital few minutes at the very beginning of a relationship where you get a chance to introduce yourself and possibly learn more about your prospects problem. There are are lots of alternatives that you can use to generate leads without cold calling. I’ve tried most of them over the years and here’s my take on what works. To read more about the do’s and don’ts in B2B marketing. Check out my blog on how to avoid the most common mistakes in B2B marketing. By the way, I’m not including in this list things like advertising, trade shows and other “external” mediums. Here I’m really focused on alternatives to cold calling that the sales team can implement directly. You see this a lot in “how to use LinkedIn” style blog posts and courses: find a mutual connection and ask them to introduce you. Simple. This works well and allows you to transfer some of that vital, warm lead trust, from the Introducer to yourself. LinkedIn – although I don’t think this works as well as it did in the past. People don’t control their networks as tightly as they once did so, they may not, in fact, know your or the prospect. 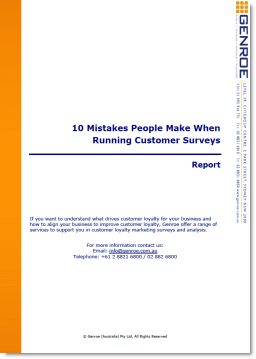 Customers – they already know you and your business so their introduction has weight. Networking organisations – Chambers of commerce, business networking groups, etc. The biggest problem with trusted introductions is they doesn’t scale very well. After you’ve asked all of your contacts, the opportunities thin out. However, they are worth it if you are in a new market. This can also work if you only need a small, steady stream of clients. I’ve seen it work well for small consulting partnerships. Start by listing the contacts you’d feel comfortable asking for a referral. Be as specific as possible on who you can best help as a business. Do you know anyone to whom you can refer me? We work best with COOs of $3-$20 million revenue B2B businesses that are looking to improve their lead generation. Do you know anyone that fits that mold? After all, if you can’t be clear on your target prospects, then how can you expect your trusted referreral to know? Give them a script they can follow. We’re all busy, so make it even easier by providing a simple script they can follow when they make the introduction. This reduces the friction and, again, makes it easier to assist you. Presenting at conferences and events is a well trodden approach to B2B lead generation. Find events where your target prospects meet. Approach the event organizers and see if you are able to present as a subject matter expert at the event. Prospects at the event contact you afterwards for a meeting. These events can be on-line (webinars), conferences or even your local better business bureau weekly catch-up. It doesn’t scale very well – there is only one of you and there are only so many events at which you can speak. Long lead times – It can take a long time to get onto the list to speak. Organizers want good speakers for their events and can require proof of your abilities before putting you on the program. This creates a Catch 22 problem: you can ‘t present until you prove yourself but you can’t prove yourself until you present. Organisers will charge you – This is a popular tactic and organizers often charge speakers for the ability to present at their events. This dramatically drives up the cost per lead, and risk if you don’t generate leads. Leads may not appear – At the end of the process there is no guarantee that you will receive any leads. Time – Creating a “knock your socks-off” presentation takes time and effort, normally a lot of time and effort. Still, if you can re-use the content and maybe turn it into a webinar this can be a useful part of the overall solution. If you do decide to go down the speaking event approach make sure you are systematic about it. In terms of overall effort, the speaking part is a minor task. To be really effective you need to pre-promote, and post promote the event to ensure you drag in those prospects. Produce and share your very best ideas. Google gets to know you’re a great source of information in your niche and sends people to your site. They like what they see and call you for help. In practice there are of course a few bumps in the content marketing road. For consultancies and businesses that rely on their ideas to make money there is a real fear that by sharing that IP they’ll lose customers. The people that think they can probably do what you do, but do don’t have time do it or don’t want to risk messing it up, are still going to hire you. So, in reality, it’s all upside. Yep, no doubt about it, thousands, probably millions, of words have been written on how to get to the top of the Google rankings. But, while there is some skill involved, it’s by no means impossible. With the assistance of good coaches and the investment of some time it is possible for even small organisations to show Google they have the very best content. If you want 100 leads tomorrow, content marketing will not be a good fit for you. It can take weeks and sometimes months to build out the process before it starts to generate substantial returns. However, once you have the content in place it will scale, almost infinitely. It basically costs the same to deliver your content to the 10,000th person as it does to the first. Plus it works night and day to educate prospects on what you can do and how you can help them. Of course it’s no good just writing great content, you also have to encourage people to contact you. This is generally called lead capture and there are lots of tools out there for this task. You will also want to automate the lead nurturing process in such a way that you only contact leads when they have demonstrated their interest. The idea here is that you become known in a particular area by publicly answering question on social platforms. Prospects then get to know you and either reach out directly or present you with the opportunity to connect with them. quora and LinkedIn Groups are the elephants in this market and I’ve benefited from both. These have been “rebooted” a few times by LinkedIn. At one point they were a pretty good way to build a reputation and connect with prospects. I’m just not sure that’s the case anymore. The LinkedIn Groups that are truly conversations between people who want to learn, share best practices and help people in your industry are few and far between these days. They seem to have mostly devolved into link dropping opportunities for companies to spruik their latest offer or blog posts. This is not universally true of course. Some group moderators do a good job. However, a while ago (2017) I reviewed all of my groups by looking at the post / reply ratio. With few exceptions there was little interaction and little point in jumping in. quora seems to be doing a slightly better job at the question and answer format. One thing that annoys me about the platform is the inability to set up searches that automatically alert you when a relevant question is asked or answered. Rather you seem to have to go back time and again to search for questions that you might be able to answer. These approaches can both work well but you have to be in them for the long run to be successful. Bouncing in and out is not going to be effective. You also need to consider that if you’re providing content on these platforms, the platform will be able to use it in very broad terms. Make sure you are comfortable with that first. If you want to try this approach, check out this post on how to use resources from LinkedIn groups.